SUN PROOF® Exterior Latex is specifically formulated to meet the performance requirements of the residential and commercial markets. The new and improved formula provides excellent durability, great dirt resistance, low temperature application and excellent adhesion. 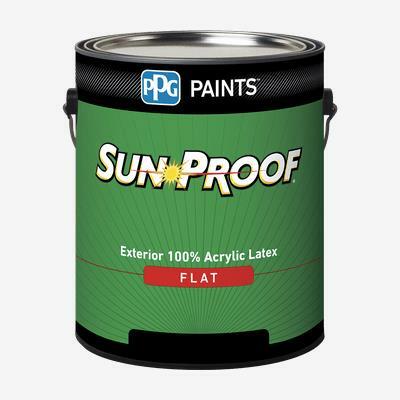 SUN PROOF® can be used on properly prepared and primed new and previously painted exterior siding, doors, trim and windows. Vinyl siding and similar plastic composites should not be painted with a color darker than the original color. Painting vinyl siding or plastic composites with a darker color may cause them to warp.